UPDATE: A major ORC arrest - the suspect had been hitting stores at the North Shore Mall in Peabody, MA, and the Mall at Rockingham Park, Salem, NH. Nice job by Peabody, MA and Salem, NH police and detectives! Massachusetts woman arrested in theft of more than $100,000 in merchandise from local malls PEABODY — A 28-year-old Lawrence woman was arrested yesterday in connection with the theft of thousands of dollars worth of bras, underwear, cosmetics and other items from the Northshore Mall and other area shopping centers. Jennifer Santos, of 57 Cedar St., Lawrence, will be arraigned Monday in Peabody District Court on charges linked to multiple thefts at Victoria’s Secret, Sephora and Abercrombie & Fitch stores in Massachusetts and New Hampshire. Media reports have estimated the amount of stolen merchandise at more than $100,000. She was arrested without incident yesterday at 2 p.m. at her home in Lawrence, according to Peabody Police. Just two weeks ago, Victoria’s Secret at the Northshore Mall reported the theft of 72 bras worth more than $3,700. It was the ninth time the store had been hit since April. There has been a similar rash of thefts at the Mall at Rockingham Park in New Hampshire. 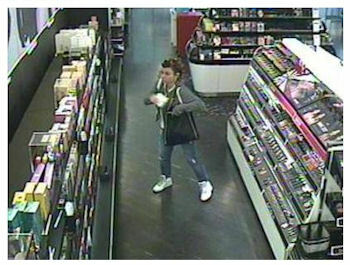 Peabody Police started investigating the crimes in May, working with Lawrence Police, the U.S. Marshal’s Office, the Essex County Sheriff’s Department, Northshore Mall Security and loss prevention officials at Sephora and Victoria’s Secret.